The ladies of Game Day Divas want you to receive your heart’s desire this Valentine’s Day. They have devised a fail-proof plan! We all know that men hate to shop, and they wait until the last minute to run out on February 14th to purchase an impulse buy! The Game Day Divas have a plan for your man! 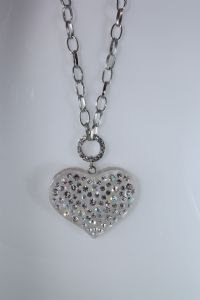 Simply shop online as a registered user at www.gamedaydivas.com and add the items you want in your Wish List! 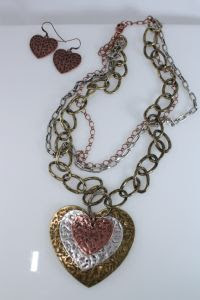 Send the link, www.gamedaydivas.com , to your Valentine as a suggestion. Once your Valentine contacts the Divas at custserv@gamedaydivas.com , they will ensure your gift is purchased, wrapped and shipped all in time before February 14th! It’s a win for you since you will get exactly what you have entered in your wish list, and it’s a win for your Valentine since he can shop from the comfort of his chair! 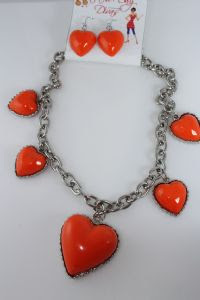 Take a look at some of the fun heart shaped pieces in stock for Valentine’ Day. 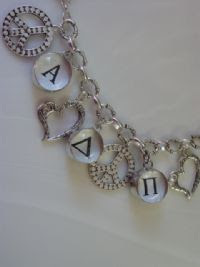 The sorority bracelet is a custom made piece that combines your sorority letters with hearts! All letters are available. 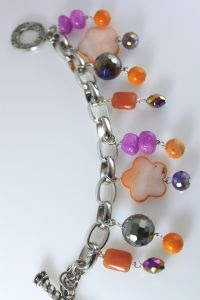 The Orange & Purple Cha-Cha necklace and/or bracelet would be a fabulous Valentine’ Day gift! 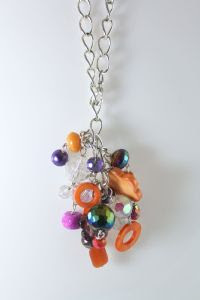 Each piece is handmade and Eco-friendly since it is made from recycled glass! 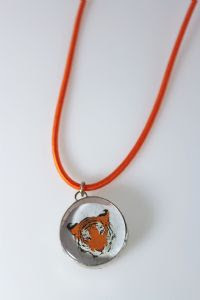 Or, if you prefer a simpler style, you will love this simple Tiger bubble on an orange chord. New to the Game Day Divas website are the Tervis Tumblers! Who doesn’t love these tumblers!?! 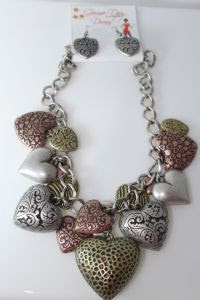 Now that you have your wish list complete, do you need a gift idea for your Valentine? 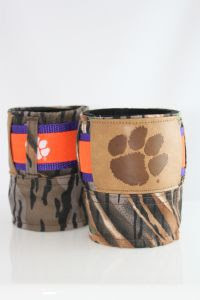 The Game Day Divas are now offering the “manly” camo Clemson coozie! This coozie is perfect for your man! 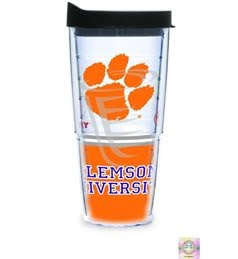 Or, if you prefer, select the all new Clemson University Wrap Tervis Tumbler. This tumbler holds 24 ounces and comes with the official Tervis black lid. Lastly, since Valentine’s Day is all about true love, the ladies at Game Day Divas want to hear from the Clemson Girls who found love in Clemson! Simply make a comment to this post and tell us your name (first name and last initial works), your location, and tell us about meeting your true love in Clemson and where in Clemson you met him! If you didn't meet your true love in Clemson, post anyways and tell us where you did meet your true love. And if you haven't met your true love just yet, comment anyways and tell us where you hope to find true love. 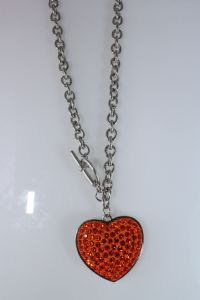 All entries will be entered for a random drawing to win a Gameday Divas' Heart of Orange necklace! Love this! Let’s see how many Clemson Girls met their true love in Clemson! The co-owner of Game Day Divas actually met her husband during her Senior year at Clemson in Tiger Town Tavern! 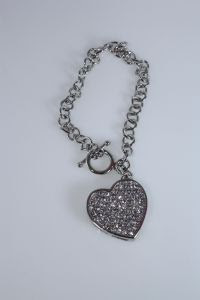 We will draw and announce the winner this Wednesday, Feb. 8th, so make your comment by noon on Wednesday. You can also keep up-to-date with all the new Spring and Summer products that are arriving by becoming a fan of the Game Day Divas on Facebook and by following them on Twitter. Special coupons ($20 off and $10 off) will be mailed to all Facebook fans that register this week! Mention in your comment that you are a fan of the Game Day Divas on Facebook or that you follow them on Twitter to get an extra entry in the giveaway drawing. I met LOML (Love of My Life) nearly 13 years ago in Clemson. He came with a friend to our apartment for a typical college party, and we bonded over college hoops. My birthday was the following week, and he took me out for sushi & gave me a dozen of the most beautiful roses - captured my heart on the spot. I met my husband during my sister's graduation weekend in August 1986 and then again at homecoming weekend the following October. The funny thing is we hung out at the the same places and knew some of the same people for several years prior to that summer and fall, but never met until then. We were also married here in Old Stone Church more than twenty years ago. I did not meet my true love in Clemson, but if it weren't for Clemson being part of my life I never would have.. since I met friends at Clemson that led me to Charleston where we met. However, my sister met her true love on campus in class. Yay for Clemson and bringing us Clemson girls true love! Clemson has not given me someone to romantically love, but rather a best friend. I suppose you could call him the love of my life, but only platonically. We met in a freshmen communication class, and now 5 years later we are business partners. On this Valentine's Day I will not specifically concentrate on a boyfriend or husband but someone that I know will be in my life forever. The next semester he asked me out on a date. After the date, he asked if I would like to be his girlfriend. I graduated on time, but he stayed to finish a fifth year. That was the start of our long-distance relationship. We have been together for 4 years. I met my boyfriend of 10yrs in High school(Liberty). We started being boyfriend-girlfriend on August 24, 2000 and we've been inseperable since! My family were USC fans and he converted me very quickly! :) Go Clemson! I met my boyfriend as a blind date for Carolina Cup my sophomore (his freshman year) year at Clemson. A fraternity brother friend wanted my roommate to go to Cup, but she would only go if I went. So he sent out a listserv e-mail to the whole fraternity asking if anyone needed a "hot and asian" date (some guys have a great way with words) and my now-boyfriend responded. He actually got arrested and went to jail that day for being underage and drunk in public - what a great date - in which I didn't see him for the rest of the day or school year. We started talking/dating until a year and a half later during my senior year. I met my husband in Pendleton at our work but our first date was a Clemson Baseball game in Feb! It was freezing! From that day on I knew anybody who could love Clemson as much as I do was the one for me. Our wedding was the proof, my brides maids wore purple dresses with orange accents and orange roses. The groomsman wore black tux with orange vests. I also had my bridal portraits taken at The Rock. My cake was orange, purple and white. It was amazing and I couldn't be happier than I am with the love of my life! I didn't meet my husband at Clemson, but he and I have worked out a great story (that some people actually believe!) about how we met in the library at CU. Every year we add in some new details.... actually, we met in Connecticut at a barn taking horseback riding lessons! I met my soul mate August 22,2007 on myspace. We went on our first date August 24,2007, he proposed Oct 16,2007, and we married May 31,2009. I didn't meet my true love at Clemson. I met him at the skating rink in 1979. He was the love of my life. I've never loved anyone the same since Todd and never will. Although we did not stay together we remained close until his untimely and devastating death in 1997. I had and still have butterflies when I think of him. I truly miss him. I met my boyfriend of 2.5 years freshman year at Clemson. We were both in the same major (Packaging Science) which is really small so we had a ton of classes together. We became really great friends studying together, completing group projects together, and hanging out outside of class. We decided to be more than just friends senior year. We graduated right next to each other in 2007 and have been inseparable since! I arrived in Clemson on 17 August 1995 from the United Kingdom as an International Student having never set foot on the Clemson Campus until the first day of enrollment. My grandmother and aunt moved me into Lever Hall and with the help of a certain fraternity, Theta Chi - hire and OX to help you move (brillant marketing btw), I quickly became familiar with several brothers. As the day ended and our move-in strategy was completed, a few of the brothers invited us to come out and join them the following evening for a party. The following day, I was contacted by the Admissions office indicating that my transcripts from the UK didn't carry over to Clemson but that they would admit me to the University as a provisional student, afterall my closest relative was 600 miles away and here I was moved in, with no car, no family and not knowing a soul. That very evening, my entire floor (the 7th floor of Lever Hall) joined the Theta Chi Fraternity House Party... we quickly made friends... suddenly out of no where I realized that these beautiful blue eyes with long beautiful soft lashes were watching my every move in and around the party... it was quite flattering... and unlike anything I had ever experience before... shortly after flirtatious greetings I met the love of my life on the porch of that very front porch. Immediately, I knew that I would marry him. Ryan and I immediately started dating, we found so much in common that we loved... Football, both Panther and Clemson football that year and just spending our time together. A little less than two years later, he surprised me by asking him to be his wife out at Tiger Paw Hole after a wonderful dinner at Season by the Lake on July 30, 1997 with the sunset cascading an orange and purple haze over the entire area... it was wonderful and a setting I'll never forget. We've continued our purpetual honeymoon since then... it's hard to believe that we've been together over 13 years now since that fateful day in August 1995. Clemson has given me two of the best things in my life... my husband and education for life with the honor or a Clemson diploma. Thank you for being my destiny - Clemson! Like a good many gals on here, I met my now-husband at Clemson. We originally met our freshman year (in '95). He was roommates with one of my best friends and we ended up becoming the best of friends too. But there was a group of about 8 of us (all CU friends) worked for the University Police Dept. (as students) and at one point, my guy ended up becoming our boss. We were only friends at the time but to look back and say "Yeah, he was my boss" - sounds really fishy. However, it wasn't until January of our Senior year that we actually started dating. Now here we are, having known each other for 16 years, our 10th anniversary right around the corner - and loving life with our 2 beautiful little boys! My husband and I are from the coast and met at Clemson on the first day of our freshman year! We lived down the hall from each other in Holmes Hall in '97 and we were pretty much inseparable after that first week. We got engaged in October of our sophomore year on Bowman and then got married in July before our Junior year. We graduated in 01 and had a great time being married students at Clemson. So much fun that we never left. :) We now live 4 miles from campus and have three little Tigers that I hope will end up to be as lucky as we were to find love at Clemson! I met my husband my first weekend at Clemson. As a freshman I was assigned to the Lightsey Bridge Apts with 3 sophomores who happened to be friends with my husband. He came over that first weekend to catch from the summer. Little did I know (until much later) that the reason my husband knew these girls is because he used to seriously date one of their friends. In fact, this other friend ended up transferring over the summer to Ole Miss and that's how I ended up with that housing assignment. In more ways than one, I took her place! Eight years later, after graduate school for me and med school for him, we were married in an orange and purple themed wedding! We're expecting our first Tiger Cub this June. I met my husband of 25 years my first night in Clemson. He was a Jr and knew some of my upperclassman suite mates and we ran into him in front of Tigertown. We began dating a month later and have been together ever since. He proposed the day I graduated from Clemson. Like many of the other commenters, I met my husband at Clemson. I am originally from Pennsylvania, he was born and raised in the Clemson area, and he was VERY hesitant to date a "yankee," to say the least! We met on the first day of class- we actually had several classes together freshman year- but didn't start dating for another year. We dated the rest of our time at Clemson, and he asked me to marry him the week of graduation in 2006. So I was engaged , commissioned an officer in the AF, and graduated in the same week! We were married in June of 2007, and as I type this, I'm holding our first child. Tara B in Anderson. I did not meet my true love in Clemson, in fact it is quite the opposite. He is a USC fan which is quite the challenge but we go with each other to the games of both teams and we seem to have formed a bridge between the rivalry, at least thats what we say! Lol. I wish I had met him in Clemson because I love that place so much but that would have been next to impossible! Still, I get him to Tiger Town any chance I get and he loves me so much that he actually likes the color orange now, at least on me. Hat ei missed the time frame, but want to share anyway. As I sat with my hair in a towel on my couch in Calhoun Courts, the love of my life walked up the stairs of our aparentment during move-in week. He leaned int he door-way, crossed his ankles and his arms and with a big grin and a wink he said, "hello ladies." It was hilarious adn intriguing at the same time. He won my heart at that moment but we didn't "date" until more than 2 years later...but I think HE knew then I was the one!